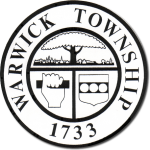 Warwick Township’s contractor, J. D. Morrissey, is scheduled to tentatively begin the 2019 Road Program on Monday, April 15. 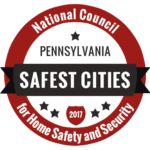 They will begin on Dogwood Drive between Meetinghouse Rd and the entrance to the trail followed by Phlox Court, Iris Court and Peony Circle. The roads will be edge milled then paved. Warwick Township’s portion of Sugar Bottom Road will be paved after Hampton Chase. Morrissey will then move to the parking lot of the Township Building. Please follow Facebook for further updates.